We’ve finally accepted that fidget spinners are a fun toy. True, they can be annoying when not used properly but they are also undeniably fun to fidget with. 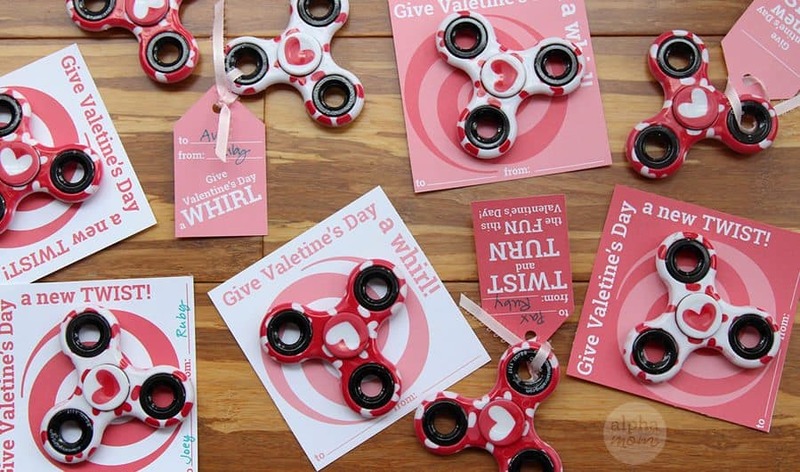 So we thought we’d take a fun spin on class valentines with kids’ favorite toy. Also, we’ve noticed that some schools no longer allow for candy-based valentines, and as such we’re always looking for good non-candy valentine ideas. 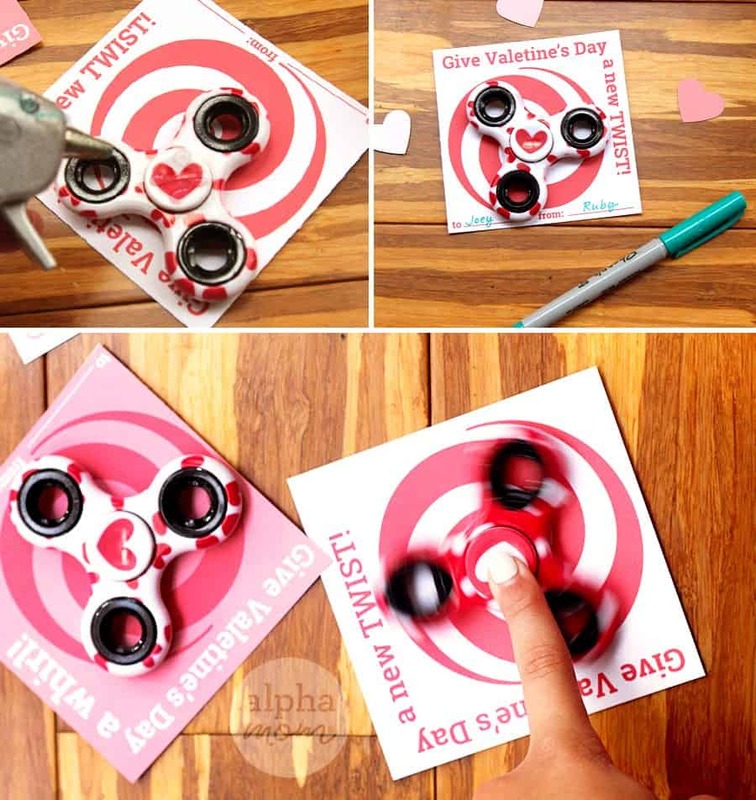 We had so much fun that we were inspired to make two versions of Fidget Spinner Valentines: Cards and Tags! You decide which one you like better. 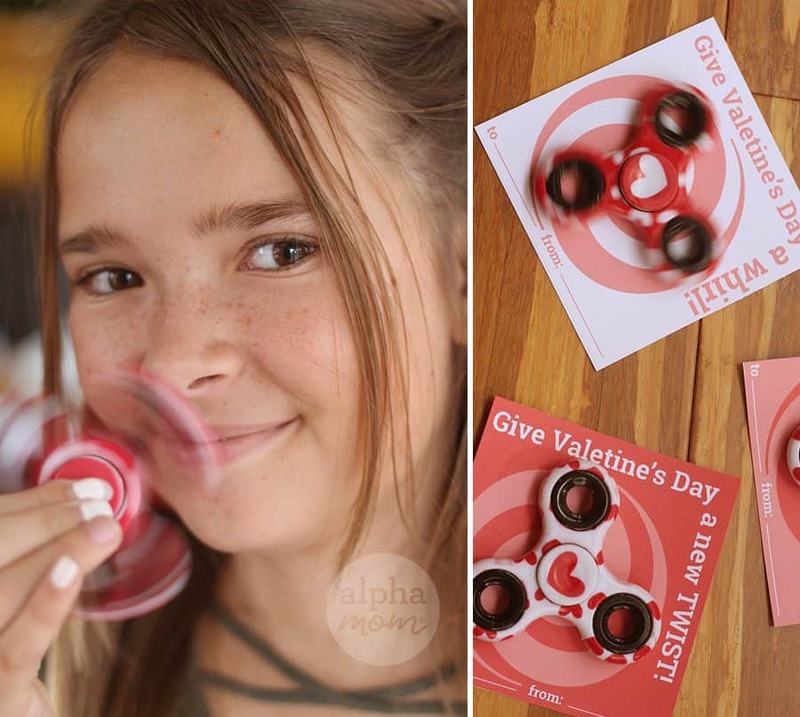 Click Here to download our printable Fidget Spinner Valentine cards (in the picture above). 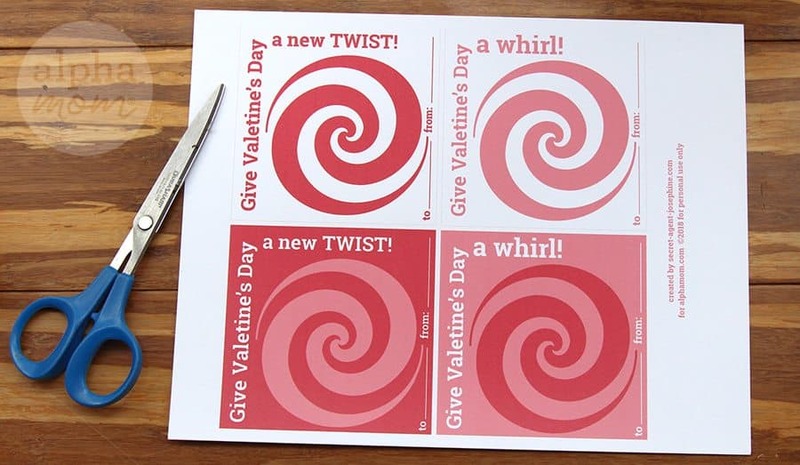 Click here to download our printable Fidget Spinner Valentine tags (in the picture above). Cut out your cards or tags and then attach them to your fidget spinners. We ordered our fidget spinners in a small (yet relatively inexpensive) batch from Oriental Trading but you can also find them at good value prices at most big box stores. 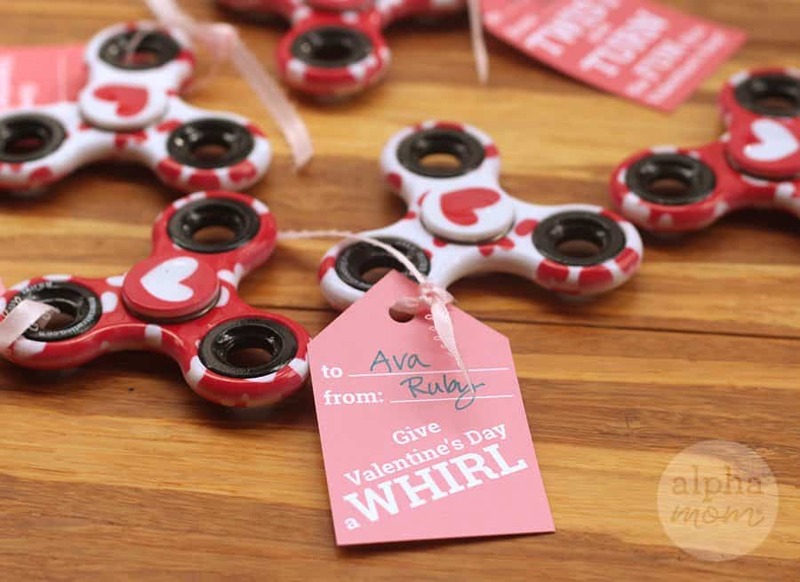 For the valentine cards, we affixed the fidget spinners to them with a couple of glue dots from a hot glue gun (adults should use the hot glue gun with caution) but you could also use these glue dots. Just put the glue on the center of the fidget spinner and then the fidget spinner will still spin when it’s on the card! 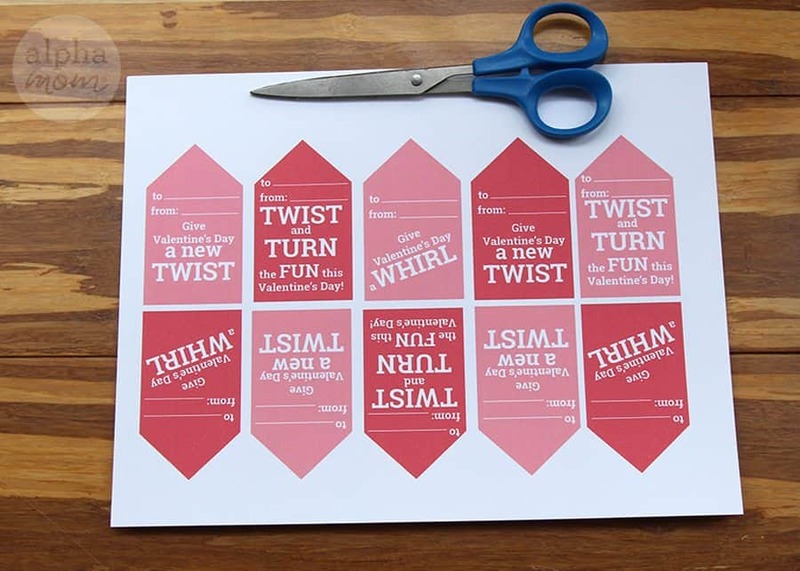 For the valentine tags, we just attached with a small piece of ribbon. Pretty easy and super cute. Let your child write in the names on spaces “to” and “from” and they are ready to gift. 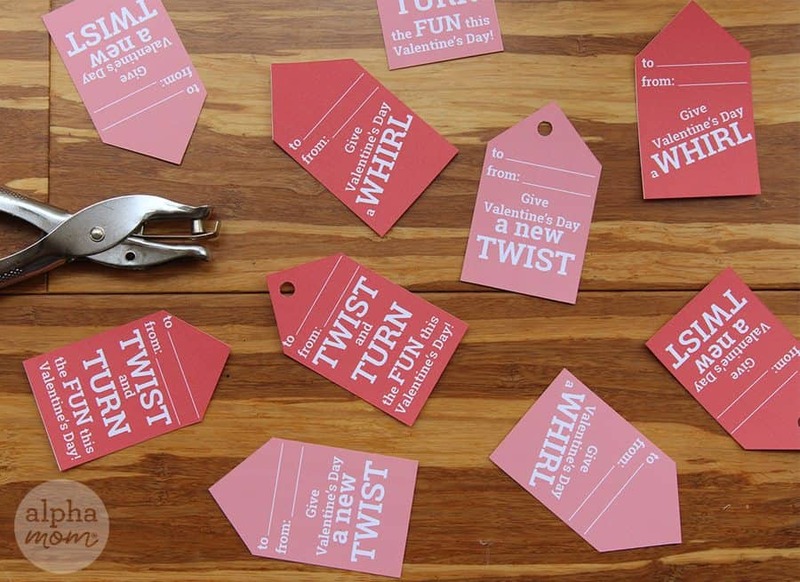 Or, use them as Valentine’s Day party favors! We expect this to be a hit amongst their fidget-spinning pals. Happy Valentine’s Day!